To manually install the Jelly Bean 4.1.2 N8000XXCMA2 firmware you will need Odin and some experience. We can provide you with the N8000XXCMA2 update files and the steps to complete the update. !!Important. Manually updating your Galaxy Note 10.1 GT-N8000 from Italy (TIM) is not the official procedure for update N8000XXCMA2 and there are risks that you need to understand. We do not recommend you manually update your device, but if you do, it’s on your own risk. Details of the firmware: PDA: N8000XXCMA2, CSC: N8000TIMCMA1, Version: Jelly Bean 4.1.2. In order to install Android Jelly Bean 4.1.2 on Galaxy Note 10.1 GT-N8000 you need to download the firmware files – Download N8000XXCMA2_N8000TIMCMA1_TIM.zip – and Odin v3.07 . Also you need to make sure that the Galaxy Note 10.1 GT-N8000 drivers are installed on your PC and that USB debugging is activated. 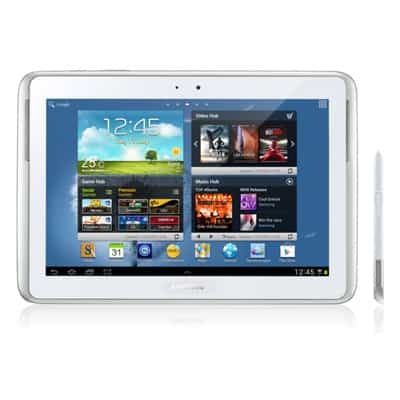 Now go to the next page – How to install Android Jelly Bean 4.1.2 on Galaxy Note 10.1 GT-N8000 from Italy (TIM).